This page is designed as a resource for researchers from the Western Cape. Here you can find the different funding agencies pages where calls will be published. Also on this page are opportunities for mobility funding, both incoming and outgoing, funding for training young researchers, and fellowship and scholarship opportunities for PhD and graduate students from Western Cape who want to study in the other RLS regions. Non-EU RLS partners can participate in Horizon 2020 either by providing a unique competence that cannot be found in the EU, or through bilateral agreements between their home countries and the European Union. Every RLS member state has these types of agreements. In South Africa, this agreement is called ESASTAP 2020. ESASTAP 2020, the successor funding scheme to ESASTAP Plus, was launched in February 2016. The funding scheme provides opportunities for EU-South African cooperation in science and technology, with dedicated funding calls. 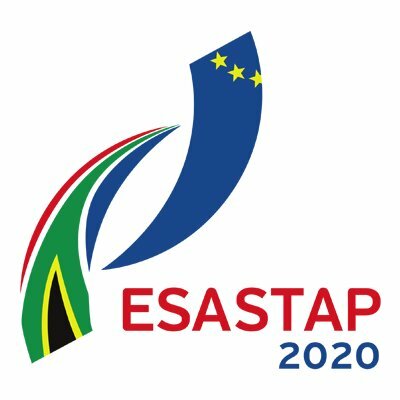 Find open ESASTAP 2020 Calls here. One of the key challenges potential South African Horizon 2020 participants have to meet is finding partners and financial support to fund international travel to meet and discuss potential Horizon 2020 projects with European partners. Cognisant of the difficulties sometimes posed to South African researchers in joining consortia for Horizon 2020 participation, the Department of Science and Technology (DST) created a "Seed Funding Instrument." Under the Seed Funding Instrument, the DST is able to support the travel costs of South African researchers travelling to Europe to engage with European partners regarding Horizon 2020 collaboration. Alternatively funding can be granted to support the travel of European researchers to South Africa. Find the Horizon 2020 Seed Funding documents here. The ACP Science and Technology Programme (ACP S&T) is an ACP-EU co-operation programme in the field of science and technology. It is funded by the European Union and implemented by the ACP Secretariat. The main three themes are agriculture, energy, and the environment, but other topics are accepted as well. Open Call: Draft proposals can be submitted by the German host university throughout the year. It is advisable to consult with DFG on the timing of submission. Draft proposals must be submitted via the DFG. Full proposals can be submitted after positive evaluation of the draft proposal. Proposals are due no later than 1 October each year in parallel by the German host university to DFG and by the South African coordinator/university to the NRF, and in accordance with the respective funding organisations’ guidelines. Value: The total available funds for 1 IRTG from the South African side are R10 million for one funding phase (4 years). This budget envelope makes provision for R5.4 million for PhD positionsat R120 000 per student per annum, with the rest of the funds (R4.6 million) tobe utilised for all other activities mentioned above at the discretion of the research Professors (i.e. supervisors). Funding can be renewed once, for a total of 9 years. As an additional support mechanism, both the DFG and the NRF will make funds available to support preparatory meetings for IRTG applications. The total available funds for 1 IRTG from the South African side areR10mil for one funding phase (i.e. 4years). This budget envelope makes provision for R5.4mil for PhD positions at R120 000 per student per annum, with the rest of the funds (R4.6mil) to be utilised for all other activities mentioned above at the discretion of the research Professors (i.e. supervisors). The German-South African consortium will firstly need to submit a joint IRTG draft proposal to the DFG, submitted by the German host university. DFG will evaluate this draft proposal according to established procedures for IRTGs. DFG will inform the NRF of the results of the evaluations, and only positively evaluated proposals will be invited to submit a joint full proposal. Invited full proposals are then submitted in parallel by the German host university to DFG and by the South African coordinator/university to the NRF. Submission must be in accordance with the respective funding organisation’s guidelines and through the established submission systems. For new South African-German IRTG initiatives, DFG and the NRF provide for the possibility to support a workshop for the preparation of an IRTG proposal. Funding can be granted only if research cooperation is already established and plans for the IRTG have already been consolidated. The workshop funding may either be applied for prior to the draft proposal submission, or –after positive evaluation of the draft proposal prior to submission of the full proposal. From the South African side the NRF will support the South African researchers’ participation at a maximum amount of R50 000 for 1 workshop per IRTG. The preparatory workshop can be held in either South Africa or in Germany. Please note that the NRF will fund a workshop provided that the workshop has also been approved by DFG. Therefore, from the South African side, application for the preparatory workshop must be accompanied by a letter from the DFG confirming that the workshop has also been approved and will be supported from the German side. The programme for Scientific & Technological Cooperation is carried out in the frame of the bilateral “Memorandum of Understanding between the Department of Science and Technology of the Republic of South Africa and the Federal Ministry of Science, Research and Economy of the Republic of Austria on Scientific and Technological Cooperation” and is financed equally by the Austrian Federal Ministry of Science, Research and Economy (BMWFW) and by the South African Department of Science and Technology (DST). The NRF provides support and grants for research, expertise development, education, training, cooperative research, bursaries, national and international scientific liaison, and administers five national research facilities. SPRINT provides funding for the initial phase of international research collaborations with clear expectations that the next phase will be a presentation, by the researchers from the State of São Paulo, of research proposals in the regular funding lines of FAPESP aiming to continue the research started under SPRINT and the consequently consolidation of the partnership. Foreign partners must provide their own funding through the appropriate partner agencies. Selected projects must last between 12 and 24 months. Joint petitioners should submit their proposals in both countries, using the appropriate forms supplied by the respective agencies. Each proposal will initially be analyzed by the agency in the country of its origin. Selected proposals will then be evaluated by a panel of FAPESP and NRF representatives.